Siemens Mobility GmbH, part of Siemens AG, has opened its first digital rail maintenance center - the Siemens Mobility RRX Rail Service Center. Located in Dortmund-Eving, Germany, the new maintenance depot offers the highest level of digitalization in the rail industry, with advanced FDM 3D printing from Stratasys at the heart of the depot's servicing operation. 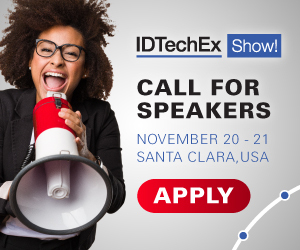 For more information see the IDTechEx report on 3D Printing 2018-2028. Renowned as Siemens Mobility's flagship site, the RRX Rail Service Center is expecting around a hundred trains to enter the depot every month. This level of throughput puts pressure on the supply chain and requires robust manufacturing solutions that can fulfill the wide-ranging needs of customers quickly and cost-effectively. As a result, the company invested in a StratasysFortus 450mc Production 3D Printer to produce replacement parts and tooling on-demand. "We believe our RRX Rail Service Center is the most advanced train maintenance center in the world," says Michael Kuczmik, Head of Additive Manufacturing, Siemens Mobility GmbH, Customer Service. "Bringing together a range of innovative digital technologies, we can significantly increase the efficiency of our customer's rail operations. Stratasys FDM additive manufacturing plays an integral role, enabling us to optimize spare parts for longer life cycles, at reduced cost and in shorter timeframes than ever before." According to Kuczmik, the ability to 3D print customized replacement parts on-demand has increased its flexibility to meet customer requirements. "Every train has to go through maintenance several times a year. As you can imagine, all our customers would like this process to be as quick as possible, but they still expect maximum levels of detail, safety and quality in the work we do. We also have to consider unplanned or last-minute jobs, and if you look at the different train models and companies we service, this requires a lot of customized solutions. This is where our Fortus 450mc fits in perfectly, providing us the ability to rapidly and cost-effectively produce one-off, customized production parts," comments Kuczmik. "Using the Fortus 450mc we can 3D print spare parts in a matter of hours. Parts that took 6 weeks, can now be produced in 13 hours. Within a week, we can iterate and optimize the design and then 3D print a final, customized production-grade part. This has enabled us to reduce the manufacturing time of each part by up to 95%, which has significantly sped up our ability to respond to customers," says Tina Eufinger, Business Development Additive Manufacturing, Siemens Mobility Division. Beyond 3D printed replacement parts, the team is using Stratasys 3D printing to increase its tooling capabilities. One such example is an essential 'connector' tool that is used to maintain train bogies (the chassis or framework that carries the wheelset). Tools for this application are notoriously hard to produce via conventional methods, as they have extremely complex shapes and require a high-level of customization. In addition, bogies weigh several tons, therefore tough and durable materials are required to withstand the significant forces when the vehicle is moving or braking. "Well-manufactured connectors are essential tools for the effective and safe maintenance of bogies, therefore finding additive manufacturing materials strong enough to withstand such pressures has been an important exercise," explains Kuczmik. "The ULTEM 9085 material is tough, enabling us to leverage all the customization benefits of 3D printing and replace our traditional manufacturing method for this tooling application. The ability to 3D print customized tools and spare parts whenever we need them, with no minimum quantity, has transformed our supply chain. We have reduced our dependency on outsourcing tools via suppliers and reduced cost per part, while also opening up more revenue streams by being able to service more low-volume jobs cost-effectively and efficiently," he concludes.